The modern movement would never have been complete without the pioneering efforts and exacting efforts of Ludwig Mies Van Der Rohe. He was both an architect and a furniture designer and one of his major achievements was the conception and execution of the German Pavillion for the 1920 International Exposition held in Barcelona. To this day, the simplicity and effortless grace of his designs is accredited to have contributed a lot to the entirety of the modern movement. His perception of spaces was open and inspiring and his use of materials was not just experimental, but absolutely accomplished. This similar rationing of design was artfully applied in his furniture as well. Mies was masterful at proportioning. He emulated both visual and spatial scale within his designs and his Barcelona series were designed specifically for the king and queen of Spain – although it is said that they never sat in it. 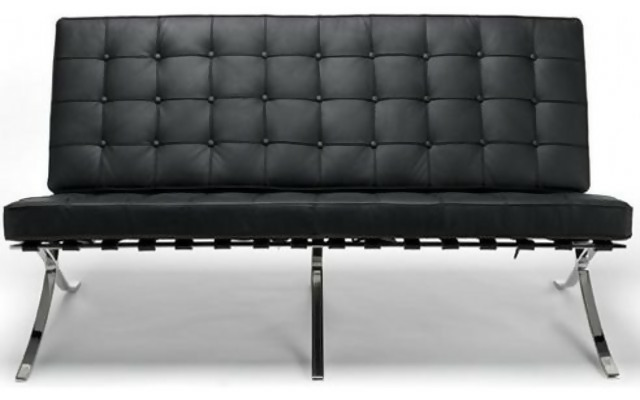 All of Mies’s creations were formally granted production rights at Knoll as he was a mentor of Florence Knoll herself. 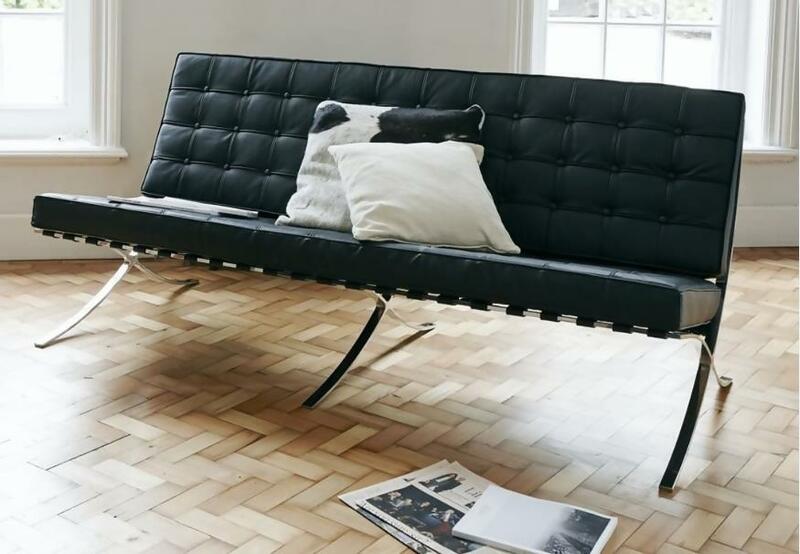 Further, let’s look at the Barcelona style sofa that’s part of the Barcelona collection by Mies Van Der Rohe. 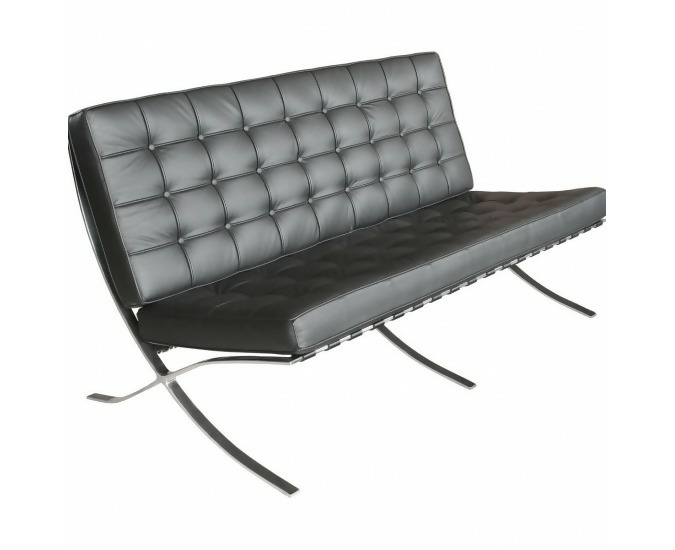 The very first product in the Barcelona series was actually the Barcelona chair that Mies designed for the German Pavillion in 1929. It was featured at the International Exposition in Barcelona and was the basis for the entire collection. The Barcelona sofa consists of a smooth seating space and backrest that resembles the panels of the chair itself. It has a chrome base in the same cross design as the original chair and is a modern masterpiece in its own right. Over the years, it has become a timeless classic and still looks gorgeous when placed in any contemporary style home interior. The story behind the creation of this sofa is really interesting. It was first designed to seat the king and queen of Spain and Mies actually drew inspiration from the cross seats of ancient Rome. This harmonization of everything old and new resulted in an absolutely iconic form that looks stunning even in the living rooms of today. Just like the design of the Barcelona chair, its material implementation is just as artfully plain. It was designed according to the sleek standards of the modern era, and to this day it feels extremely relevant. 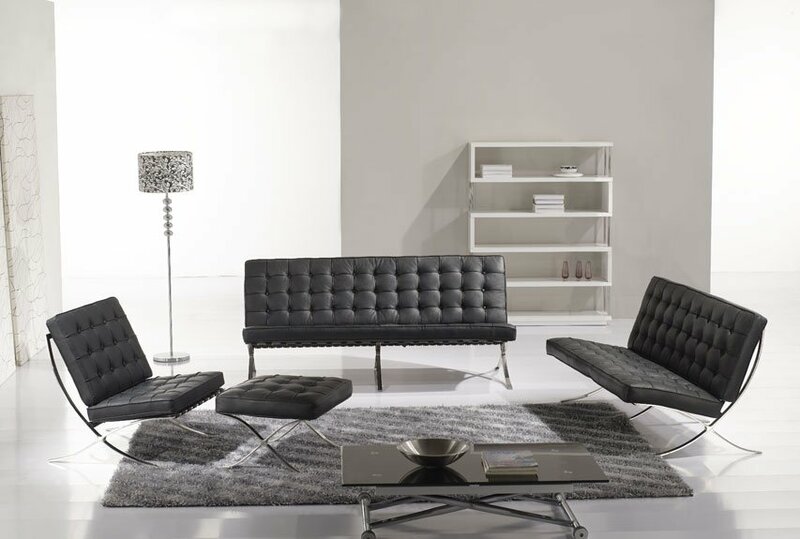 Its tufted leather upholstery emulates the classic inspirations of the roman era and the stainless steel cross legs are the definition of modern contemporary. Scale and size: The medium scale and proportion of the Barcelona style sofa can be set up in every kind of a space, but do ensure that the scale is always on point. This basically means that you have to ensure the sofa doesn’t end up looking either too small or too large. Style: The style of the Barcelona style sofa is extremely modern and as such, you can never emulate it in any space that has even a hint of traditional in it. So, even if you’ve got a neo-classical or transitional set-up, the modern looks of this sofa cannot be emulated in them as they would just seem jarring. 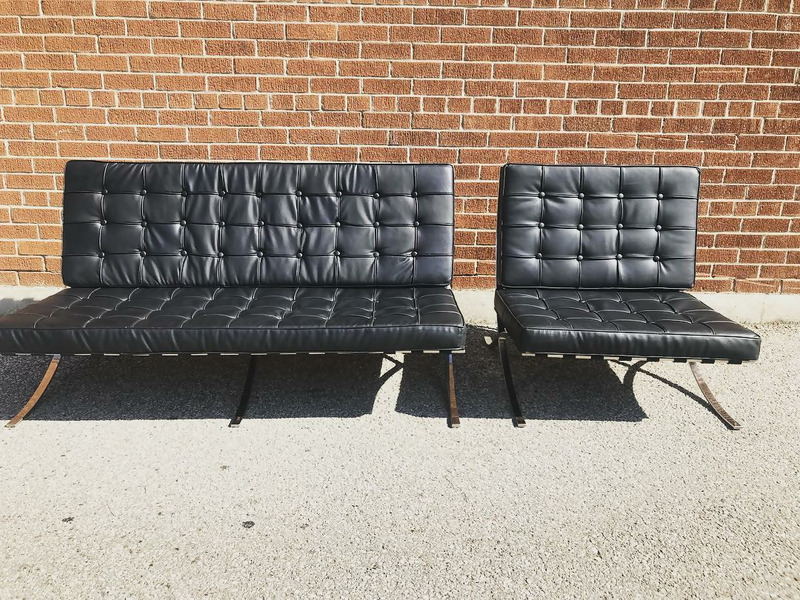 Modern: The modern style is basically the origin of the Barcelona style sofa, so of course it will absolutely fit within this particular theme. Contemporary: The contemporary style always has a backdrop of sleek no matter how dissimilar its furniture components really are. This is why the Barcelona style sofa would be a great addition in it. Industrial: The concrete and warehouse aesthetic of the industrial style would make an excellent accompaniment to the Barcelona style sofa. Both are sleek, simple, and iconic enough to complement and contrast each other. So, this is everything that you need to know about the Barcelona style sofa. Understanding the importance of its history will help you appreciate its design even more.